Many locations were buried under a foot or more of snow. 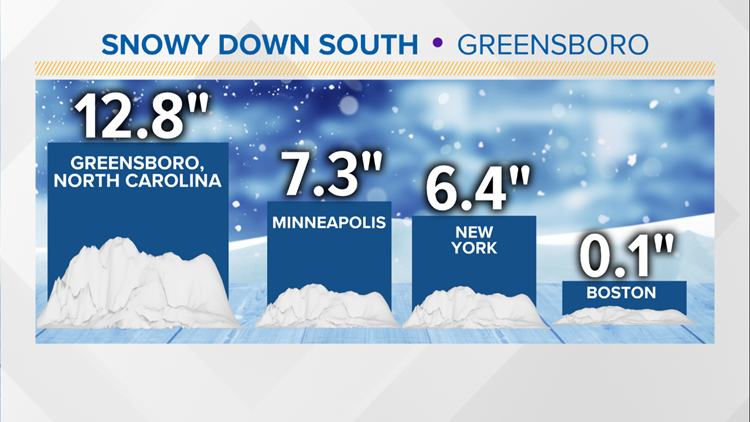 GREENSBORO, N.C. --- This snowstorm will be one that people will likely talk about for a long time. 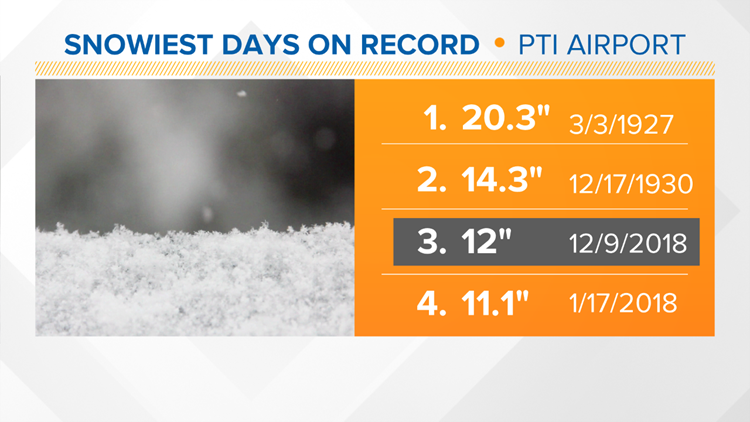 At PTI, 12.8" of snow and sleet fell Sunday through Monday morning. 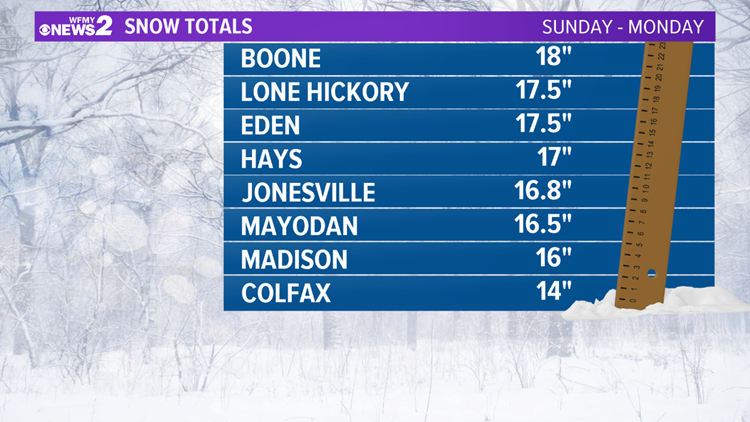 12" of that fell on Sunday, making it the third highest one day snowfall on record. Additionally, after just one snowstorm, we've already exceeded the amount of snow we'd usually receive in a season. 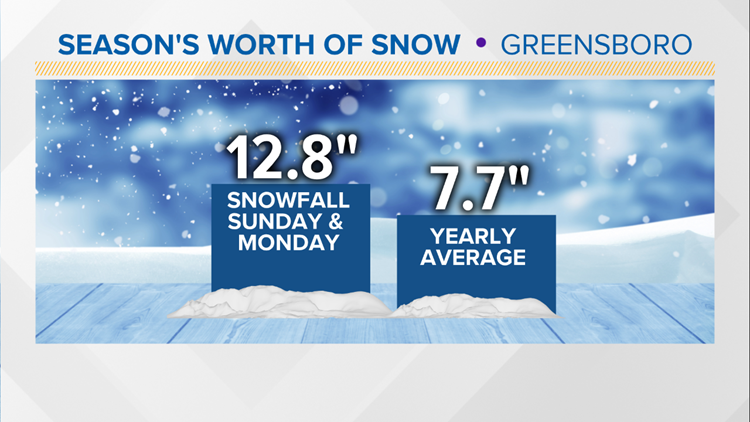 Related: Just How Often Does Greensboro See December Snow? Here's another fun fact: Through December 10th, PTI has gotten more snow since October than Minneapolis, New York City, and Boston. 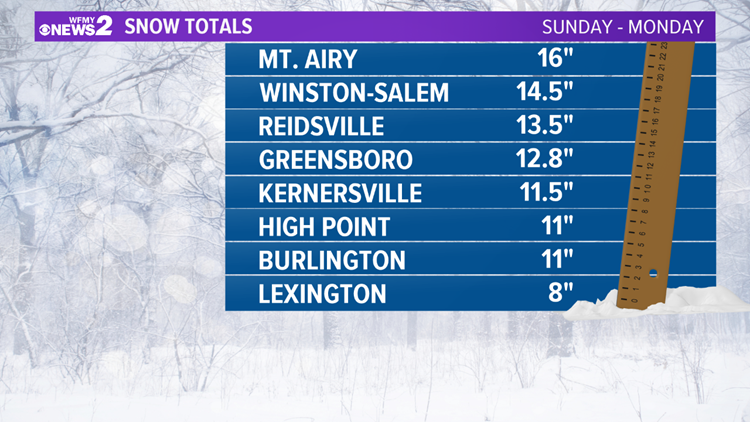 As far as the rest of the area is concerned, there were several towns that exceeded 12" of snow accumulation, with the highest amounts in the Foothills and along the NC/VA border.